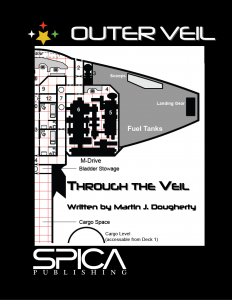 Written by Martin J. Dougherty, ‘Through the Veil’ is a free adventure set in Spica Publishing’s Outer Veil setting created and written by Omer Golan Joel and Richard Hazlewood. ‘Through the Veil’ is a 10-part adventure which follows the Naddod, a new Subsidised Safari/Merchant starship, whose owner is looking to hire a few crew members for an extended haul. 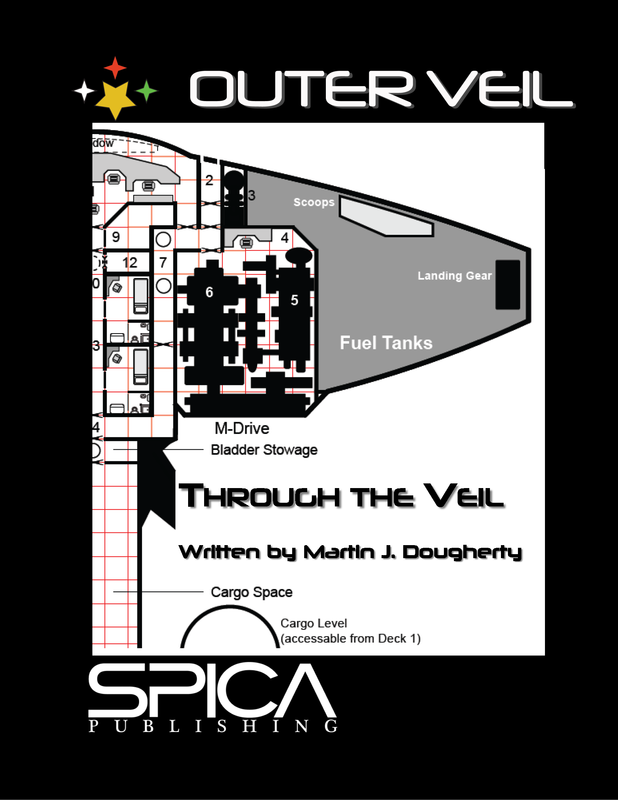 You can download Through the Veil parts 1 to 10 as PDFs for free from Spica Publishing’s page at DriveThruRPG.com. Players and Referees will require a copy of, access to, the current edition of Traveller or other science fiction roleplaying game rules. The Outer Veil sourcebook from Spica Publishing is available from Spica Publishing’s page at DriveThruRPG.com and would be useful with this adventure. Through the Veil Parts 1 to 10 © Spica Publishing 2013-2015. All rights reserved.